We provide services for email marketers all around the world. HuBuCo offers both one time purchases and monthly subscriptions. Protect your email reputation. Remove all your bounced emails using HuBuCo's real time email verification API and bulk email verification solution. 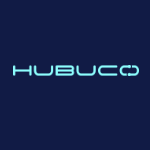 Try HuBuCo for free, you can verify 100 emails for free every day. Should you need any help, get in touch with HuBuCo's Support. Real experts are going to help you to resolve any issues. HuBuCo - Email Verification Service Reviews Recently Reviewed! Cons: Fully satisfied - no "cons" for me. Completely happy with the service and product. Overall: I had an email list for my newsletter which was in terrible shape. We hadn't sent out a newsletter in many months, and I found out that the person handling this task before me had not been processing bounces. In addition, there had been no double opt-in for sign-up and I could tell just from the names of some subscribers that they were spam bots. When I had tried to send out a newsletter, there were immediately a lot of bounces and our reputation score plummeted so quickly that our mailing partner stopped us from further sending. I checked into various email verification programs, and even purchased a few to try. Most were prohibitively expensive, and in addition, the results were not helpful. We were getting way too many results of email addresses that returned as unknown. I purchased a small quantity of verifications from HuBuCo, and was rather skeptical because the pricing was much lower than others we looked at. However, the results came back quickly and nearly all of the returned with a clear result. Very few "unknown" results. As a result, we were able to quickly clean our list of over 200,000 email addresses. I sent out a newsletter to the freshly HuBuCo-verified emails with almost zero bounces. With a clean list, our reputation score quickly increased, and after a few mailings was up to 99/100. As our list became more engaged, we saw our delivery rate increase. All of which translated into a fantastic response from our list! Thank you very much for taking your time to leave us such a detailed review on HuBuCo. I very much appreciate it. The daily free 100 credits. The overall quality of the results. Cons: False negatives are too common. Valid email syntax such as "+" is always returned as invalid, which complicates the logic required to rely on the service. Overall: Our application sends email invitations and notifications, and to both improve our UX and UI, and help reduce bounces and keep our sending reputation high, we use HuBuCo's API to validate email addresses. Thank you very much for such a great review. Handling "+" signs in requests have been added to future feature requests. Pros: The software is inexpensive and very easy to use, very quick. The online support is super intuitive and the dashboard is pretty easy to navigate once you get used to it. The real value is that we are able to validate large lists quickly and ensure we don't have email campaign delivery impacted. They offer free validations for a trial, which is how I was able to ascertain the quality of their service. Cons: The interface takes some getting used to. Other than that it is inexpensive and quick and there really is no good reason not to use it. Overall: We sometimes get old lists from our system people and are asked to quickly turn email campaigns around. This service is a great first cleanse. Thank you very much for such a great review. I very much appreciate your help. We are working on a new interface to make it even more easy to use. Thank you very much for taking the time to leave us such a detailed review. I'm glad that we were able to help you. Once again thank you, and have a nice day. Thank you very much for your review. We appreciate your time and feedback. Thank you very much for taking the time to respond and share your feedback. I'm very sorry to hear about your trouble when our application was down. We keep improving our application to avoid such outages. We have now 3 backup systems at 2 different locations that we can use in case there is an issue in our data center. We are going to do our best to get as close as possible to 100% uptime. Pros: Since e-mail services such as MailChimp are very picky about nixies--too picky IMHO--you have to make sure that your list is as clean as possible BEFORE you mail to it. HuBuCo lets you do this, quite painlessly. Cons: No real issues. It would be better, of course, if the "unknown" category of tested e-mails could be made a lot smaller. The developers would be well advised to explain what constitutes an "unknown" better that the do at the moment. Overall: See above for reasons that you need to clean up your list before you mail. HuBuCo is the best. No training required. Easy interface. Pros: These guys support a simple, no brainer api that just works. No need for composer, or other plugins to run. Cons: Sometimes it takes a little while for support to get back with you on questions, but I think they are getting better at that. Overall: Overall experience is positive. Bought more credits the other day! Thank you very much for your amazing review. And yes, we are working on making our support as great as our application. I very much appreciate your time writing this review, and thank you for recent purchase. Cons: I'm impatient with technology in general, always finding it difficult to wait for a process to complete. Overall: I found HuBuCo to be good, simple, got the job done. And the pricing was competitive, which is always nice. Thank you for your review. We absolutely agree, it is difficult to wait for a process to complete, hence we had created the fastest email verification service. We are on average 10 times faster than our competitors. Once again thank you for the nice words. Have a nice day. Cons: Change of cost, drastically. Not as fast cleaning as some other services. Not using them anymore although I have credit on there. Thank you for taking the time to leave us a review. We very much appreciate your honesty, however as we can see our prices are still below the markets average, but our services are well above our competitors'. I would like to recommend you take a look at our monthly plans, as they provide significant savings for those who have regular needs for email verification. Pros: The product is generally easy to use, versatile and simply design which is a plus: you do not have to be an expert at email servers or any kind of training to use it. Cons: It feels the accuracy of results has dropped: "ok" emails can be wrong (in over 20% of cases the emails do not exist and never existed), catch all" are worse (25-30% are actually "ok", 25-30% do not exist). Overall: The tool is becoming a way to eliminate the few bad emails of a list, at least according to results, but is deceptive at validating correct entries. Several mailing campaigns using proprietary opt-in lists labeled us as spam by entire organization servers because Hubuco failed at recognizing outdated or now incorrect emails. An immediate and rather serious negative impact for our business. Thank you very much for taking the time to leave us a review. I'm very sorry to hear you had troubles following using our system. I'd like to ask you to get in touch with our support team to see how we can help you improving your email delivery rate. We guarantee 99%+ email delivery rate when emailing our OK emails. I look forward to hear back from you. Have a nice day. Pros: HuBuCo had literally removed all our bounces. Software work super fast and support was awesome. Cons: It is great tool, but could use a new design. Overall: The best email verifier app out there. It does exactly what it promises on the site. No BS, it's the best email verifier. Thank you very much for leaving us such a great review. We are working on a new interface with a new design. Thank you for your feedback. Pros: It works plain and simple. You upload a list, it runs, and you get back accurate results. No more sending email to dead accounts, catch alls and spammers. Cons: The only thing I disliked is that I did not know about it much sooner. HuBuCo is simply invaluable. Thank you very much for taking your valuable time to share your review. It's so great to hear that you wish you knew about us sooner. Cons: As with most software that is new, it was an affordable option but as time has gone on, they've starting adding new features and charging more and more. Still a great service but I'll be priced out soon. Thank you Grigore for this great review. We are going to continue working hard for our customers. Pros: Customer service has been always quick and responsive to my questions. Can use API for bulk email verification or the web interface works great if you don't have coding skills. Thank you very much for taking the time to leave us a review. We would love to hear some details about what features we should be introducing. We are in the process updating our application to make it market leader in 2019 and I'd love t hear your thoughts. Pros: It was very easy to use. I got just what I wanted as an end result. Cons: There were still some emails after verification that wasn't in use. Thank you very much for taking your time to give us some feedback and leaving us a review. These valuable feedbacks help us becoming better every day. Although it sounds very unusual to have any bounced emails when emailing OK emails. Should you wish us to investigate this further please get in touch with our support, we will look into the details for you. Pros: very high deliverability rate after the emails were checked by HUBUCO and we received good sender scores inside Sendgrid. the software is easy to use. credits are handled well. Cons: not certain. at one point I didn't like the way reports were shown in the interface, but they've corrected the problem. At the moment it seems fine. Overall: It's the only tool I've tested so far which delivers on its promise, at a super convenient price. I've never seen a better email checker. Pros: That it wouldn't be limited to the amount of mails and would always be precise with them. Allowed me to do a profound clean up. Cons: Every now and then could be price. But every now and then it's OK. Thank you for taking your time to leave us a review, we very much appreciate it. Thank you very much for the review and feedback. We are working on a new user interface to make is easier for our users. Thank you very much for your review, I'm glad we were able to help you. Pros: If you're operating in a high turnover industry, maintaining valid contact details for your marketing database can be difficult, HuBuCo makes this much easier in my case where I can validate my contacts routinely to protect the reputation of my sending ip. Overall: Very positive experience throughout, very good value and effectiveness. Thank you very much for your review and feedback on HuBuCo. We are going to look into how we can improve our reports. Pros: I research about 40 email verifiers, tested 20, and narrowed it down to HuBuCo. They are on top of the price game while still being easy to work with and accommodating. Cons: Some of my last data results did not show a pie graph of results. The website feels old fashioned compared to others, but it functions as well, if not better than any other. Overall: Surprisingly, they were the only of 3 narrowed down companies to verify HIPAA compliancy. Thank you for taking the time to share your amazing review and your feedback. We are actually working on a new user interface that is focused much more on user experience. It is so great to hear that we made to the top out of 40 verifiers. Pros: Its easy to use, relatively quick, and gives you clear and explicit access to your data. Cons: The thing I like least is the ability to be able to control the encoding on the output. For example, when I check an email list with names that are not in English, when I get the output file the names are garbled. You should be able to adjust the encoding to UTF-8. Thank you very much for taking the time to submit a review on HuBuCo. We value your feedback and will look into how we can implement it. 3. Quality of cleaning is too good. Cons: Nothing , I am using it from many years. Overall: It's a very good list cleaning service and I use it regularly. Thank you very much for this amazing review. Should have anything in mind in the future that we could improve on, please let me know. Thank you ver much for your review and feedback. I can assure you we only mark an email invalid if we receive a clear message from the recipient server that they are not able to accept an email to that email address. All our results are based on the recipients' servers responses. Once again thanks for the great review. Pros: Based on the lists I have run the results seem to be very accurate. Cons: The interface could be improved and the speed optimized. Thank you very much for taking your time to leave a feedback on HuBuCo. We are actually working on a new user interface to improve user experience. This should be available for you soon. Pros: Easy to use. User friendly. Easy to upload file. I very much appreciate your review. We only mark an email as catch all or invalid when they are. We cannot make them valid. Pros: It allowed us to verify emails for our campaigns and worked really well. Highly recommend his step to anybody running cold email campaigns. Cons: Was a little clunky and difficult to use. UI Wasn't the greatest. Thank you very much leaving us a review and recommendation. Pros: Hubuco was easy to use and very accurate. We are able to clean up massive trade show lists quickly and send out emails that wont bounce and cause our emails to look like spam. Thank you very much for this amazing review. It is always a pleasure to hear from satisfied users. Pros: We saw the bounce rate on our email list drop substantially. The OK and Catch All options are a nice touch. We got sold a less than adequate list that we were able to salvage. Also, you only pay for what you need. Cons: It tried accepting OK and Catch All and the bounce rate was a little higher than I'd expected. If you just select OK you can be sure you won't get bounces. Overall: We had a terrible list of emails that was bouncing like crazy which we got cleaned quickly and easily for a reasonable price. Thank you very much for taking your time to leave us a review. I'm happy to see that our software helped you. Thank you very much for taking time to give feedback and review on our services. I'm very sorry to hear that you were disappointed in our services. I'm sure if you get in touch with us directly we can find out what happened and we can resolve your issue. You can either reply to this email or use the chat bubble on our website to get started with an investigation. Pros: it's easy to use for verify scan of email addresses. Cons: a bit cotsly for many email addresses verify. I very much appreciate that you took the time to leave us a review and feedback. I'll keep it in mind. Cons: Nothing really. Setup was simple. Easy to import. Nothing to complain about. Overall: Great service. We manually enter email address from clients waivers and we often have mistakes. HuBuCo helped us to decrease considerably all the errors that we were getting with Mailchimp. Thank you very much for taking the time to leave us a great review. Inexpensive if you are careful and read the fine print. Pros: The cost was one of the least expensive out there when it comes to email verification. Cons: However, they have a misleading monthly subscription service that charged me for another month even though I thought I had canceled my service. Thank you very much for taking the time to leave a review on HuBuCo. We very much value your feedback and we are going to look into how we can make our pricing more transparent. We never intended to mislead any of our customers. Once again, thank you for your review. though it offers economical pricing in the industry after 3 months too. Thank you very much for the great review and feedback on HuBuCo. Thank you for taking your time to share your feedback. We are going to continue working hard to satisfy our customers. Pros: Simple to use and was fairly quick. Also another plus point is the value. Cons: Nothing much for what I used it for. I only had one list. Thank you very much for taking the time to share your review. I very much appreciate your feedback. We are very keen on serving our clients to the highest standards. Please do let me know why we had received 3 stars only. I'd love to hear how we can make this application better. Easy process to verify email addresses! Pros: The process is easy to verify email addresses and helps keep my spam score to a minimum while targeting and reaching inboxes! Cons: Some could find process difficult, if you aren't computer friendly. Thank you very much for your review and feedback. We are actually working on a solution to make our application more user friendly. I hope many users will benefit from our updates. Thank you for your feedback and great review. We are out-rolling several updates in the next weeks. We are updating our user interface to give you better user experience and introducing a new reporting factor that can help you to better use our reports. Easy to use service with effective results. Pros: Easy to use and cost to effective method of verification. Cons: May be online support on the website would be useful. Thank you for your review and your valuable feedback. We have just implemented a new communication tool into our website that allows us to respond more quickly to your queries. You can find this chat bubble on every pages of our site. Pros: We used the API to get verification results in real time and it worked great. Not a lot of coding experience required. Pros: Ease of use and has helped clean our lists. Cons: We are unsure about the results. We get "Invalid" results but we don't know why they are invalid. Overall: It has helped us clean our lists more reliably. Thank you for taking your time to leave us a review. If you get a result "invalid" it means that email address doesn't exist. I also would like to assure you that you can contact HuBuCo Support at any time and we are happy to help or explain if anything is not clear. Pros: The software is easy to use and navigate through. Testing is fast and downloading the cleaned list is super simple. Thank you very much for taking the time to leave us a review. I'm glad you like our software. Cons: Website looks dated and appears spammy but gets the job done. Thank you for for your honest feedback. We are actually going through a visual update, that will improve our user experience. Overall: This is fab. Someone recommended it to me, and it's just great. Thank you for this great review. We do indeed do our best to serve our cusomters. Pros: What I liked most about this product was the overall good quality of the results. You can clean your list of emails and have it back within a matter of minutes. Cons: What I liked least about this product is really nothing, it's a great product and will continue to use it. Overall: It was a great experience, HuBuCo knows what they are doing and the email verification is a tricky process that they seem to have down. Thank you for taking your time to share your review. We are going to work hard to keep improving our service to stay ahead the competition.